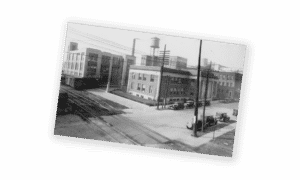 At 33, Levi Igleheart left the ever-discouraging farming industry and moved to Evansville, Indiana, to start a sawmill. 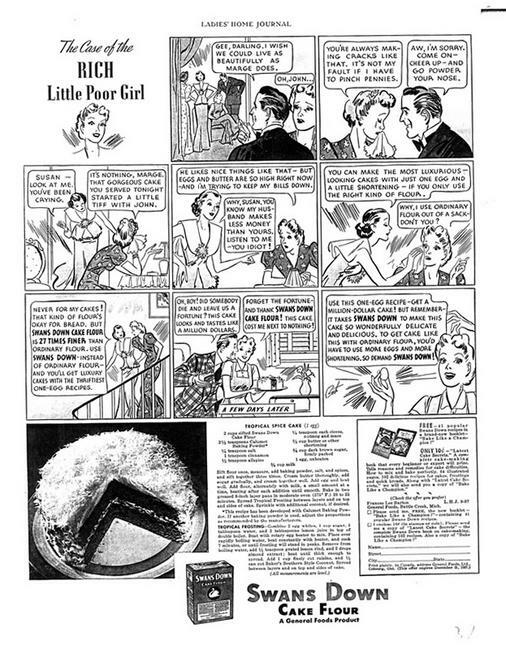 He then turned to grinding wheat grain. With profits growing, Levi’s brothers Asa and William joined him in Evansville. 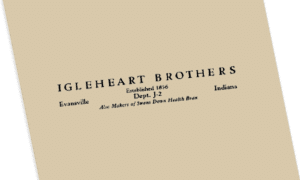 Levi and William ran the business and named it Igleheart Brothers, Millers. 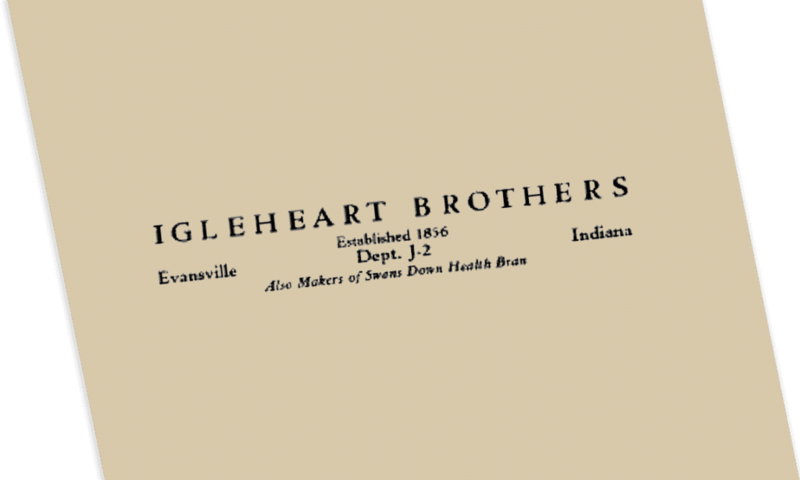 The brothers became incorporated. 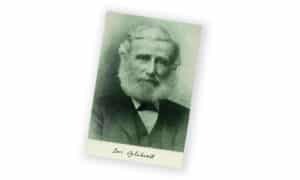 William passed away, leaving Levi and his three sons, Lesli, Addison, and John, to run the business. 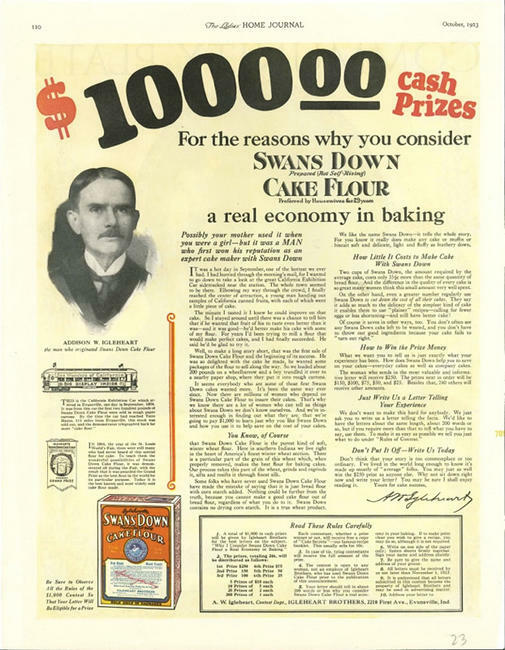 Addison discovered a new way of milling wheat that made a flour ideal for cake baking. 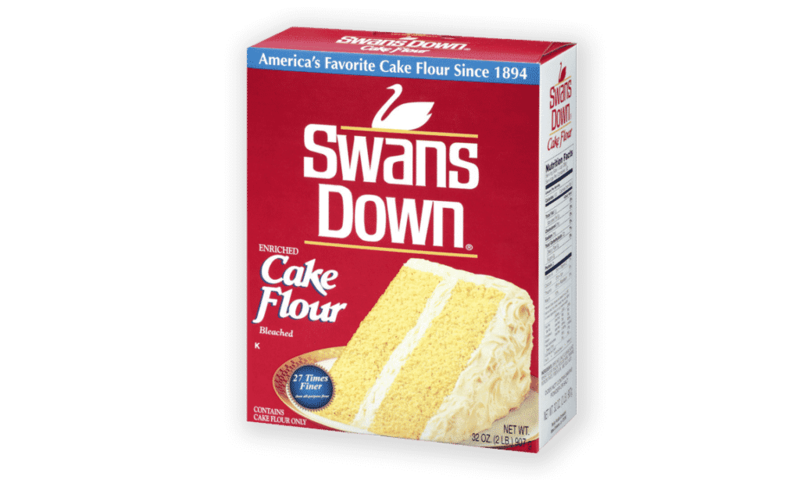 He named it Swans Down because it was so light and soft. 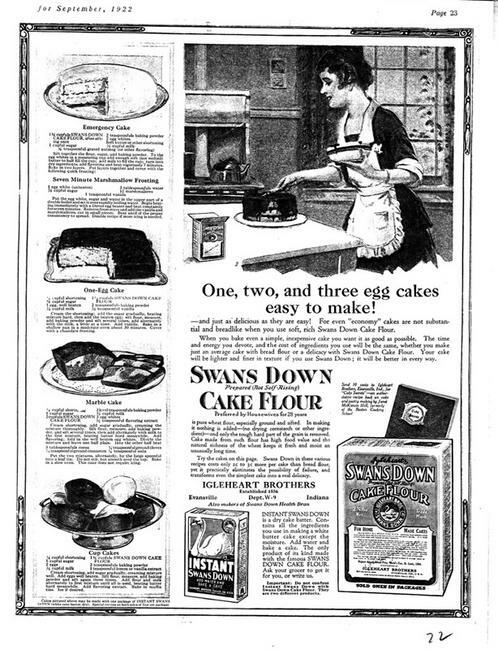 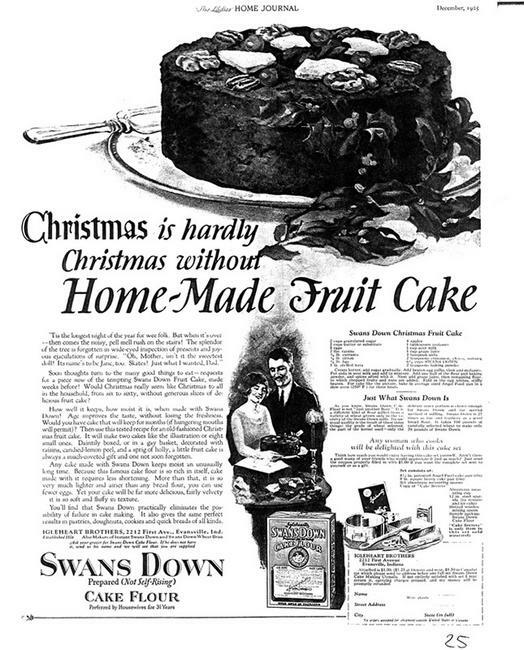 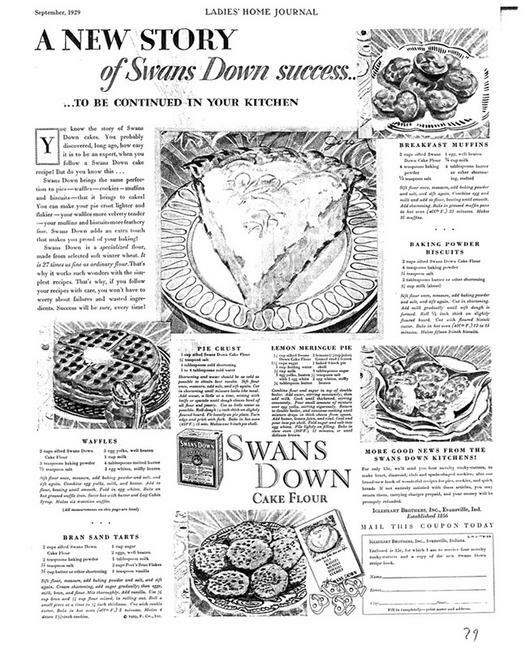 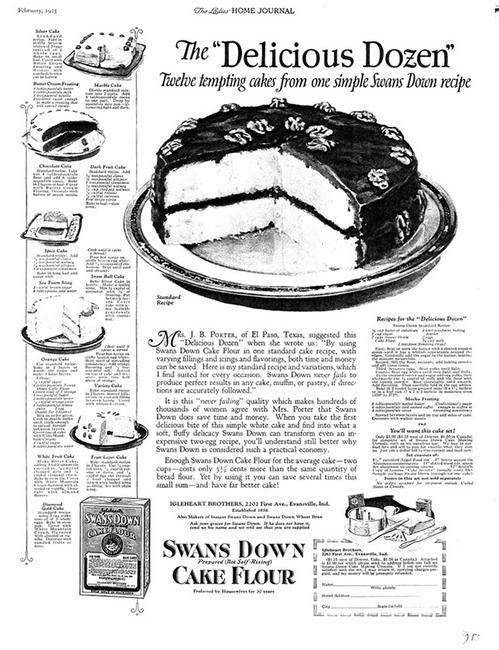 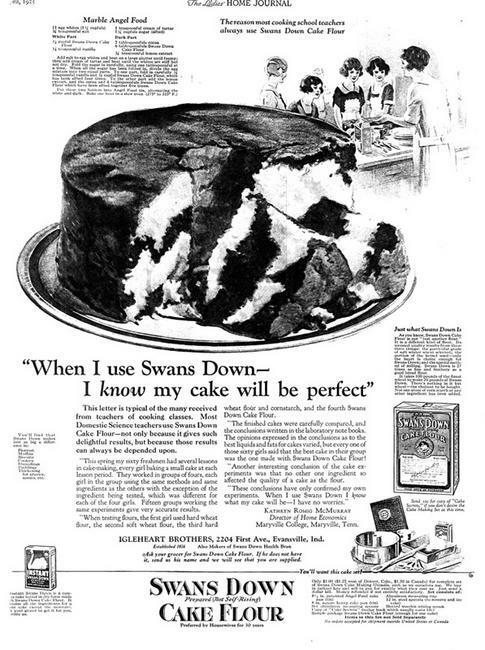 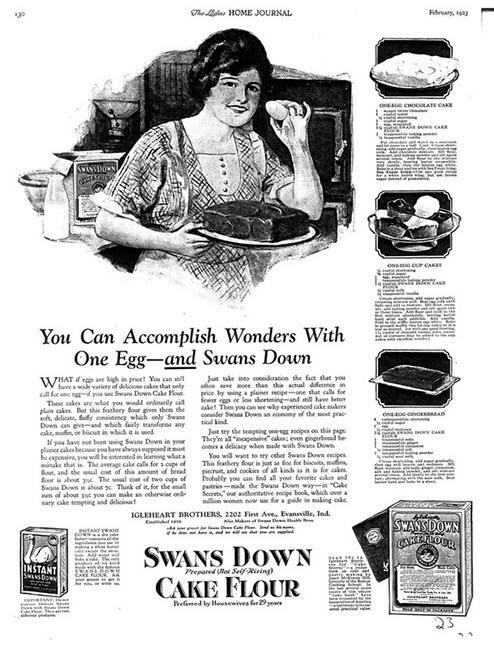 Ladies’ Home Journal featured the first advertisements for Swans Down. 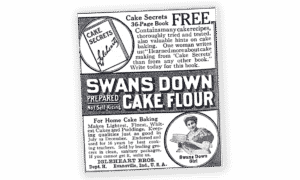 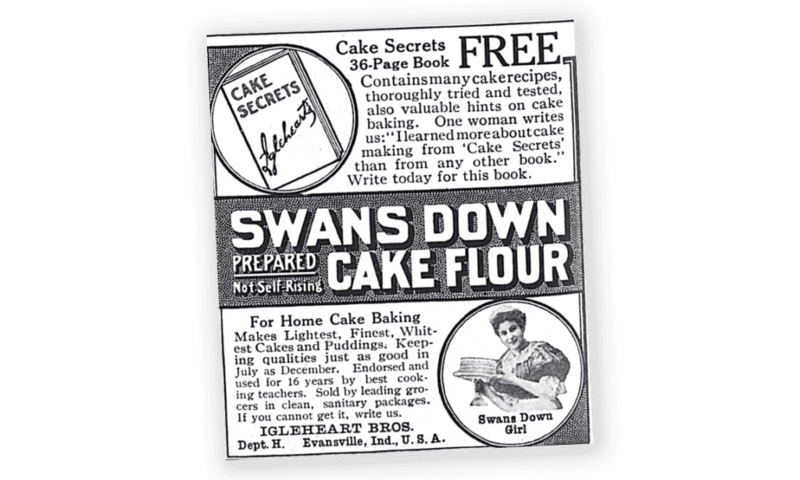 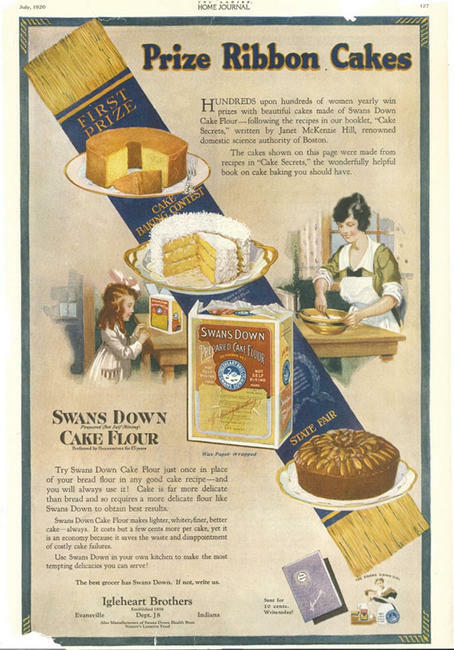 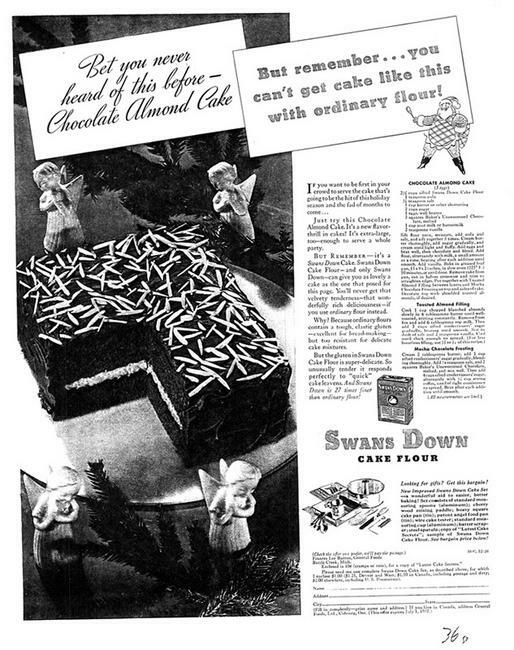 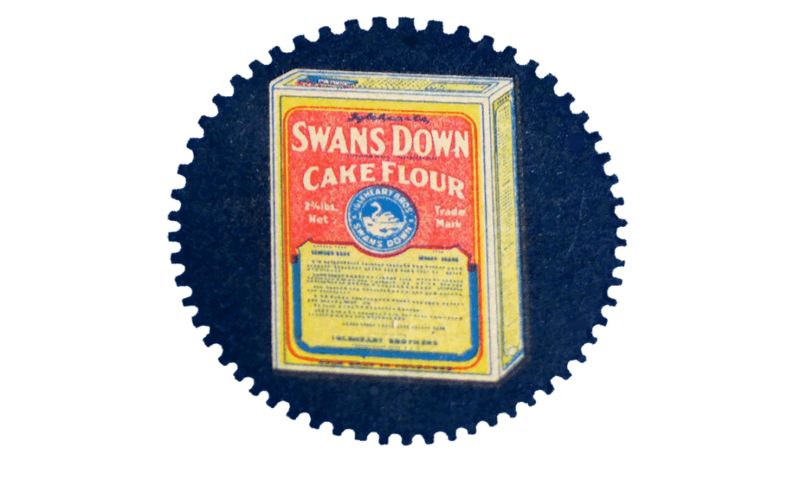 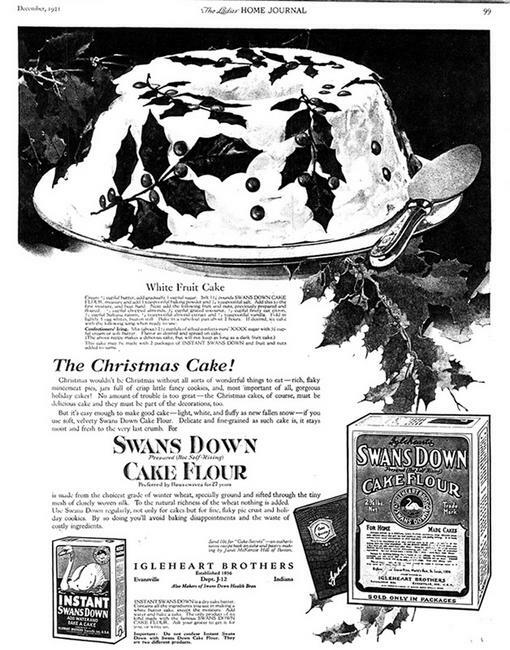 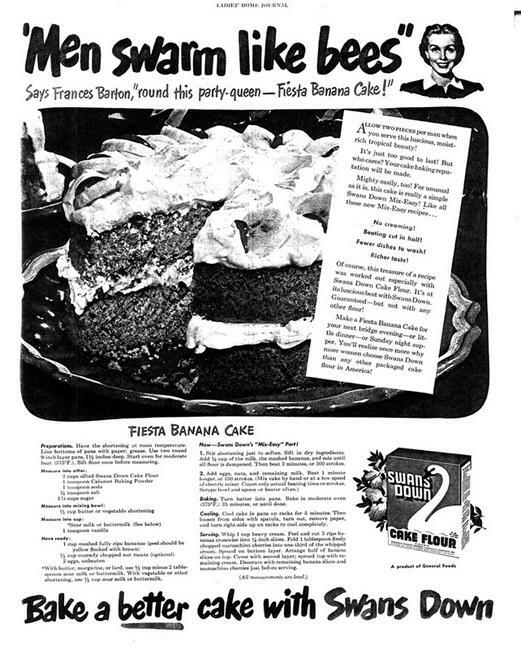 Swans Down won the grand prize for cake flour at the World’s Fair. 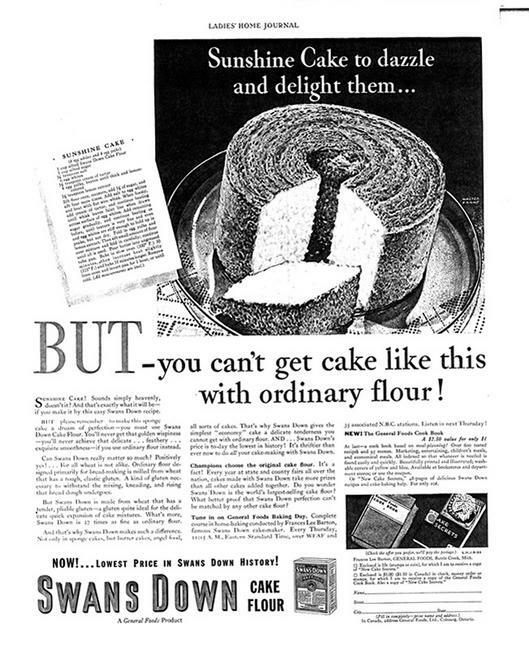 With fame came more business, and the brothers outgrew their mill, relocating to a bigger facility. 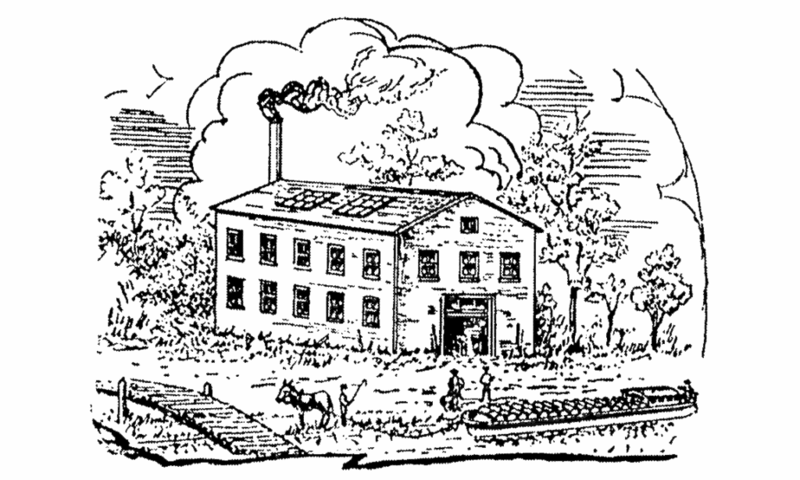 A fire burned down the new mill, so a newer mill was built – this time with the most modern machinery on the market. 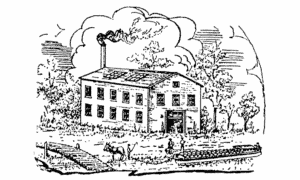 Production rose by 1,000 barrels a day. 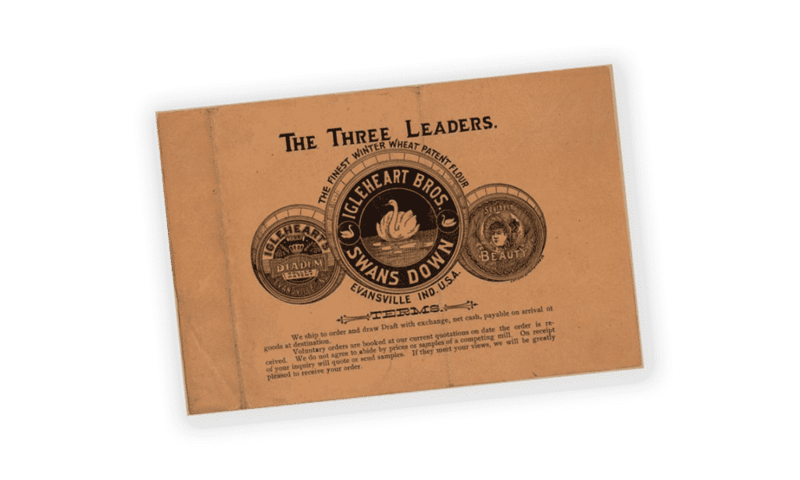 The Igleheart brothers joined General Foods. 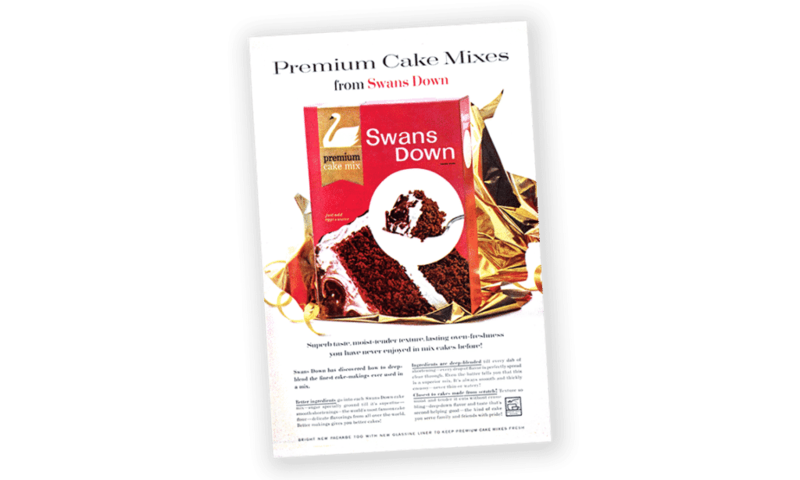 General Foods introduced the first cake mix under the Swans Down name, also sparking new competition. 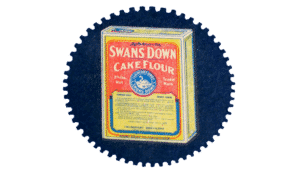 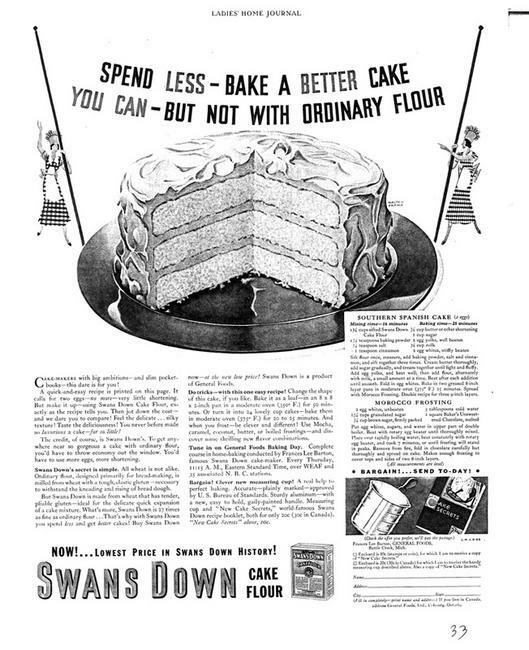 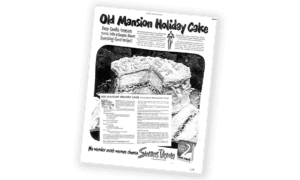 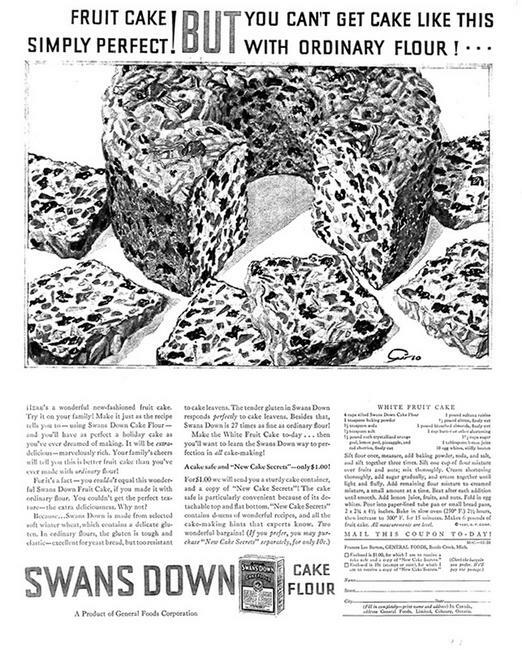 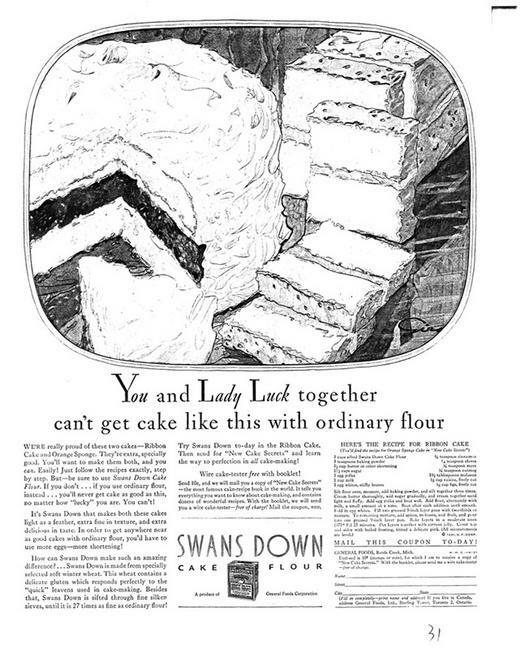 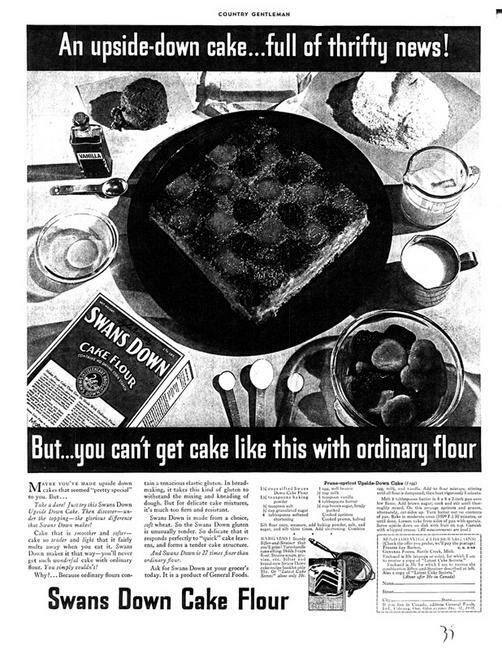 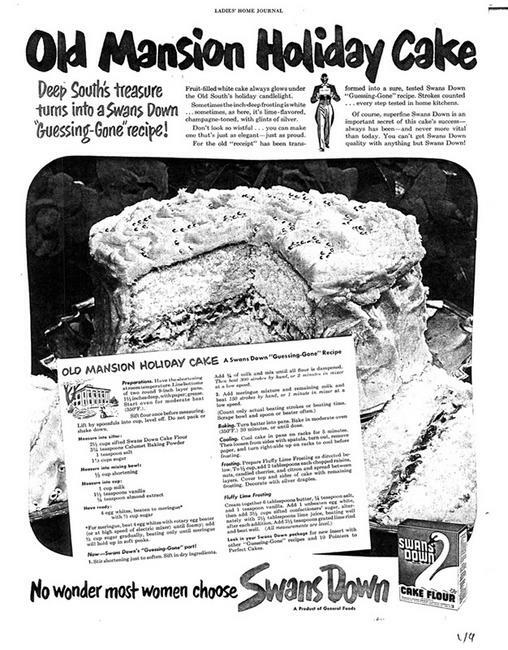 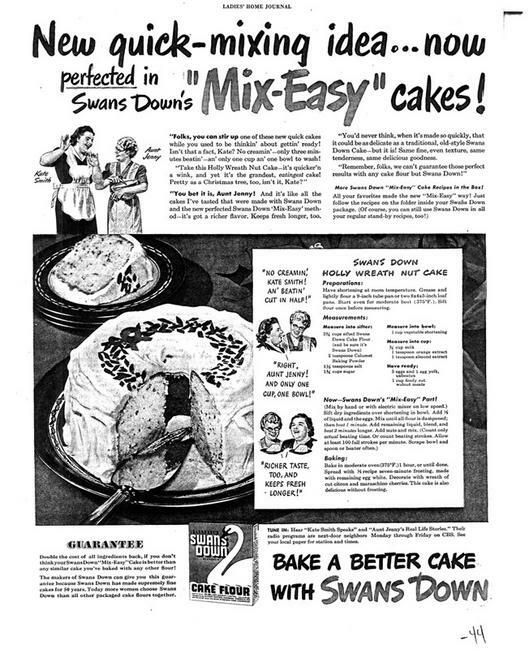 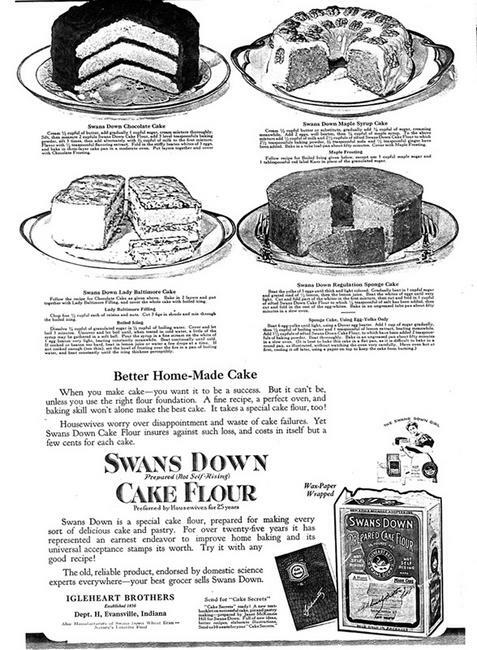 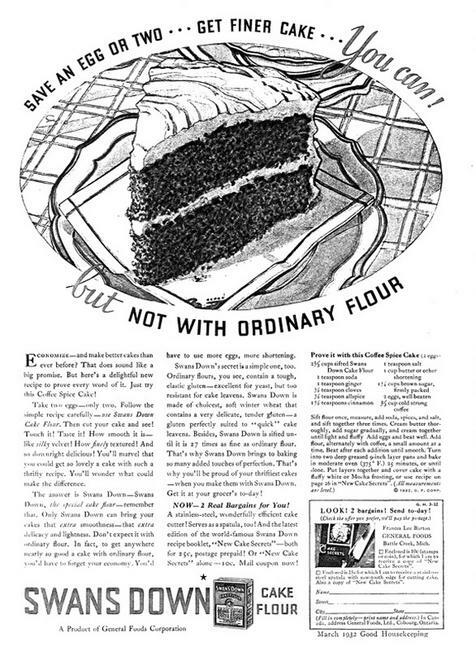 By the early 1970s, marketing by other competitors forced Swans Down Cake Mix out of business, but Swans Down Cake Flour survived because of the loyal generations of scratch bakers who refused to bake with anything else. The Wm. 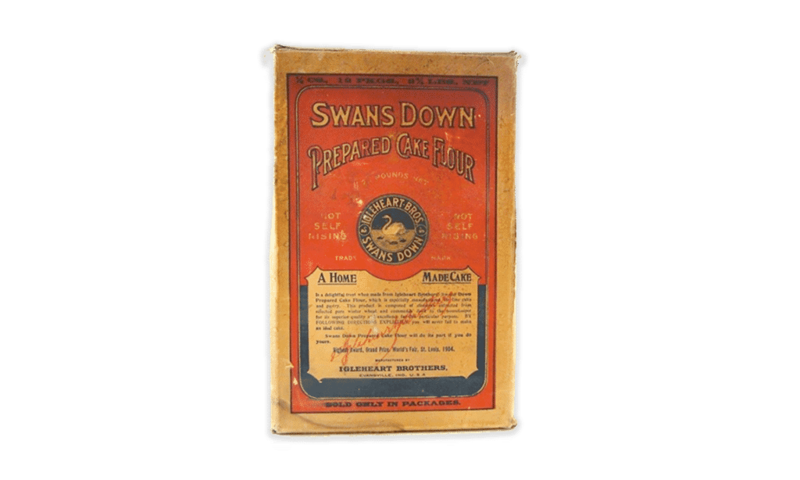 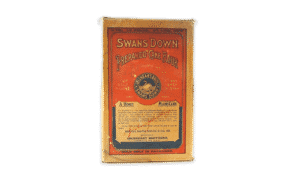 B. Reily & Company purchased the Swans Down brand, and it is now manufactured and marketed by Reily Foods. 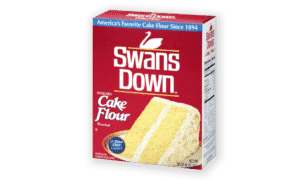 Scratch bakers who know, know Swans Down. 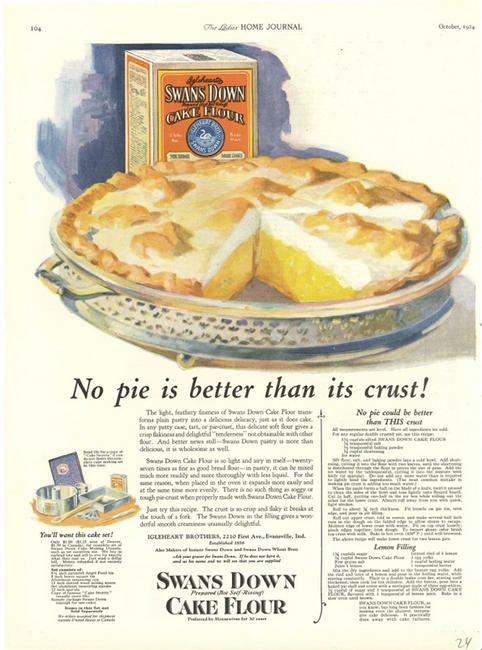 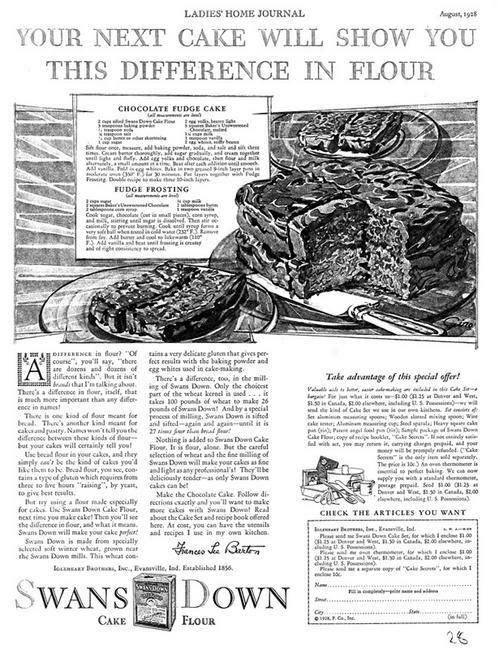 Click to see vintage ads, articles, and more from our flavorful history.